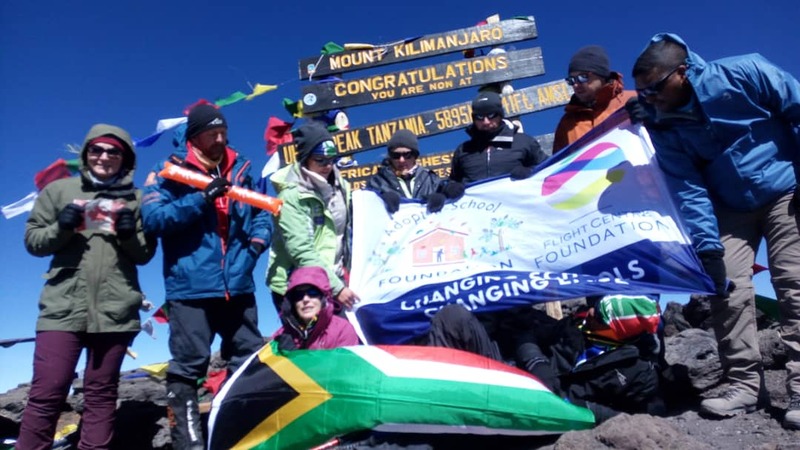 Fourteen volunteers from the Flight Centre Foundation and the Adopt-A-School Foundation have summited Mount Kilimanjaro in support of Kili4Kids, a fundraising initiative to support community projects. Flight Centre Foundation said the expedition had raised at least R300,000, which will be used to open a new library at the Qhobosheane Primary School in Soweto. The volunteers left for Tanzania to climb Uhuru Peak, Mount Kilimanjaro’s highest peak and the highest mountain in Africa, on March 12. Nine of the team’s 14 climbers made it to the summit, Uhuru Peak at 5,895 metres above sea level. Thirty-year-old Roxy Gonsalves was one of the 9 climbers who successfully summited the Uhuru Peak. It was Roxy’s first attempt at climbing Mount Kilimanjaro. “It is a terrifying, challenging, and very emotional but beautiful experience,” said Gonsalves. “No one can prepare you for the experience. It is 60% mental, and then 40% physical. Once you reach the top and you see Uhuru Peak, it is the most overwhelming experience. “I always believe if we all try a little bit to make the country a better place, it will be. Think of 450 children being able to go and read a book, or learn something for the first time. This was all through the hard work and dedication from all our supporters,” says Gonsalves. Funds raised will be used towards construction costs for the library, as well as resources, books and librarian training. The Flight Centre Foundation ‘adopted’ Qhobosheane Primary School in Soweto through the Adopt-a-School Foundation programme, a partner entity of the Cyril Ramaphosa Foundation, in 2017. The school’s Grade R facility has already been renovated, a school feeding scheme kitchen constructed and many volunteer days organised to raise funds to support with ad-hoc projects.